Hello And Welcome To Millionvisitars, Usually we are getting bored by cooking the same type of food omelet, break mix and fry these things makes such bored. So here is a unique content that we can add in simple omelet recipe. It’s a potato. Yes, an a potato. 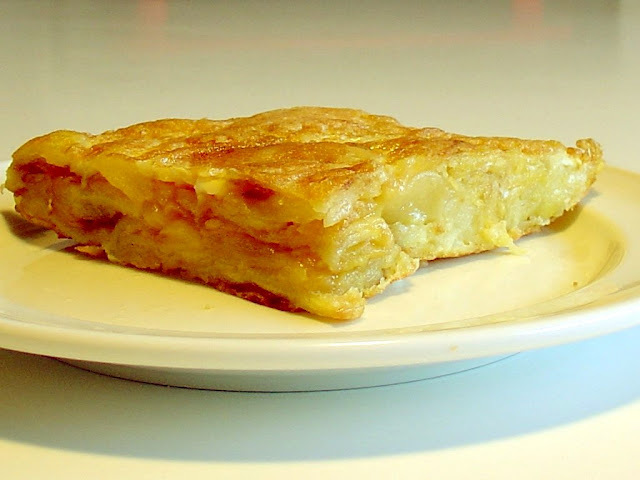 Today we are learning breakfast omelet which we can easily cook, and this can be really very healthy omelet recipe. Firstly take a pan and preheat the butter and in that roast potato pieces till it gets a little brown. After that take a bowl and in that with eggs admixture coriander, salt as per your taste and a pinch of black pepper powder. Now on slow flame above the potato pieces add to egg mixture, When the egg is completely set on potato pieces carefully fold the omelet. Take it out from the pan and in a plate garnish it with chopped coriander. This omelet recipe can be your quick and the very easy way to prepare with many more nutrients for your breakfast or lunch and can be for your dinner.